Losing valuable video files shot on your device of choice is not the most pleasant experience in the world, and right next to that is having to deal with corrupted video files that are as good as lost. If you’ve got precious moments stored on video in MOV or MP4 formats but can’t get any media player to play them, it’s possible that these files have been corrupted in some way. How do you recover and repair them so you can watch them? 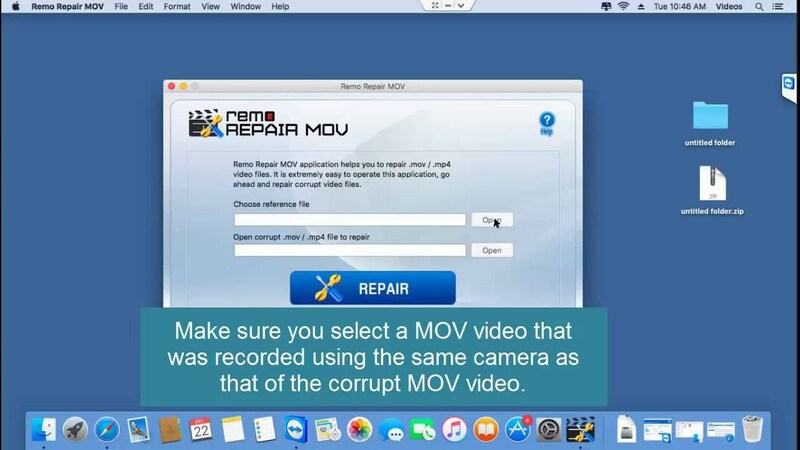 The easy fix for corrupted video files is Remo Repair MOV, a robust video file repair utility that can revive your camcorder, smartphone and GoPro videos in minutes and make them playable on any media player. It will fix MOV files as well as MP4 files that have been damaged or corrupted in some way. First of all, how do video files get corrupted? Digital video content can be damaged in several ways. They can be affected while transferring from one medium to another, during format conversions or even when using players like QuickTime. Often, the video header file gets corrupted, which means the video can’t be played on any player. 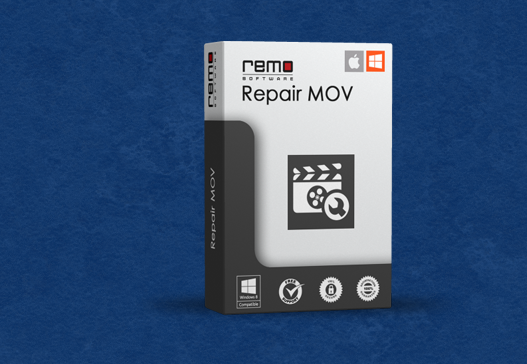 To fix the problem, download Remo Repair MOV and install the software on your Windows or Mac. Then follow the steps below to easily repair your video files. Step 1: On the main software interface, select a healthy video file shot on the same device. This will act as a sort of reference file for the repair function. Step 2: Next, select the corrupted file that is in MOV or MP4 format. Please note that the healthy file and corrupted file will need to be in either of these two formats. Step 3: Finally, click on the big ‘Repair’ button, and the job will be completed in a few minutes. And that’s about it! As you can see clearly, there’s no fussing with complex settings or tweaking illegible parameters. Even novice users with no video editing experience can easily fix corrupt video files with this utility. However, what if the file isn’t corrupted but merely missing? Accidental deletions are quite common, so how do you get back deleted files directly from the storage medium built into a video recording device like a camcorder or smartphone? Video files can be lost in a number of ways. They can “disappear” during file transfers, they can be deleted by accident or because of a virus. Sometimes they’re deleted when you format a storage medium, or you may have deleted them on purpose and later decided that you want them back. 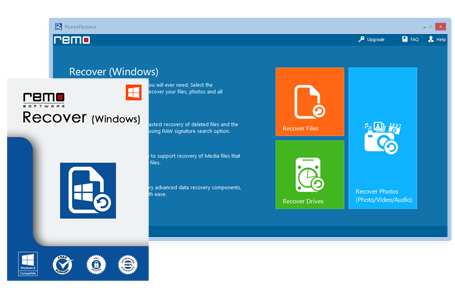 Step 1: Install Remo Recover after downloading the appropriate file for Windows or Mac. Step 3: Now choose whether you want to recover deleted content or lost content, as the case may be. Step 4: Select the appropriate drive partition where you want to search and click on ‘Next’ to proceed. Step 5: Select the video file type and initiate the scan of the chosen drive partition by clicking ‘Next’. Step 6: Any recovered file will be visible under the ‘data view’ or ‘file type’ view. You can now preview the file before recovering it. Alternatively, you may want to ‘save recovery session’ if you want to continue at a later time. Once again, very minimal user input is required with this software as well, since most of the heavy lifting is done in the background. If you regularly deal with video files shot on various devices, it’s a good idea to download both these utilities so you have them to hand when the time comes.